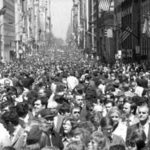 The first Earth Day, catalyzed by an increasing public concern about environmental issues, drew 20 million demonstrators and put environmental crises on the nation’s political agenda. 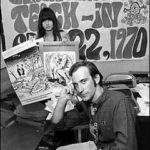 Earth Day was envisioned in 1969 by Gaylord Nelson, a U.S. Senator from Wisconsin and champion for the environment. Having just toured the devastated Santa Barbara coastline after a major oil spill, Nelson was inspired by recent teach-ins being held in protest of the Vietnam war.